Say no to s#itty pop! Vote Rock! Pop seems to be less ‘pop’ than the mighty Rock. 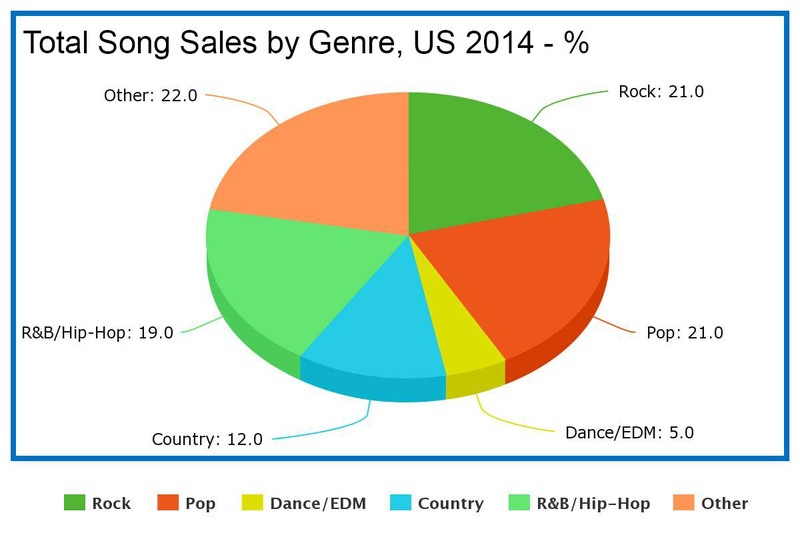 According to MusicBusinessWorldwide Rock music sales eclipsed that of all other music genres in the US in 2014. 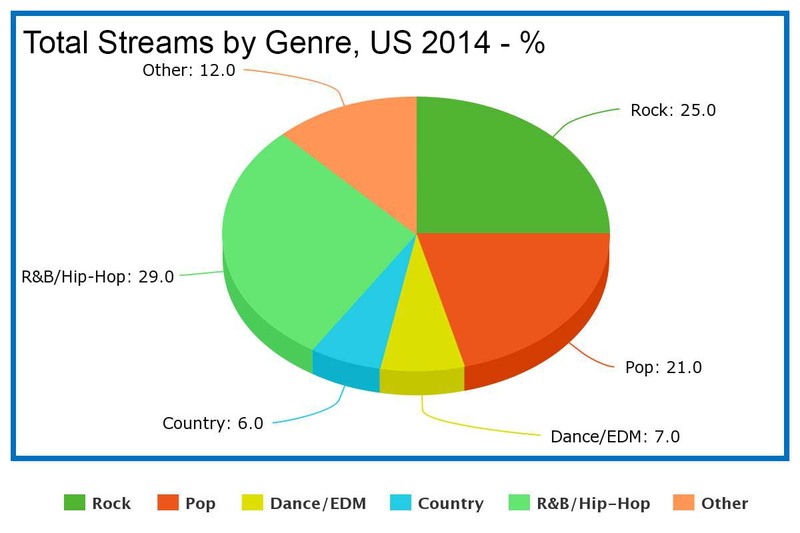 In fact, ‘Murica consumed almost twice as much Rock music as Pop. 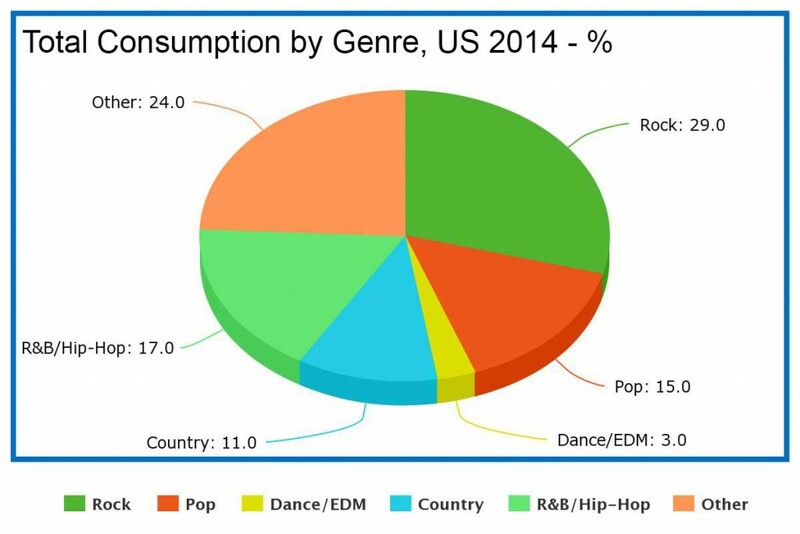 Music consumption is determined by Nielsen Music by collecting data regarding total album and song purchases as well as streaming services such as YouTube and Spotify. These percentages are calculated by dividing total track downloads into TEA (track equivalent albums) and total streams into SEA (streaming equivalent albums) and then adding the results to the album sales tally. 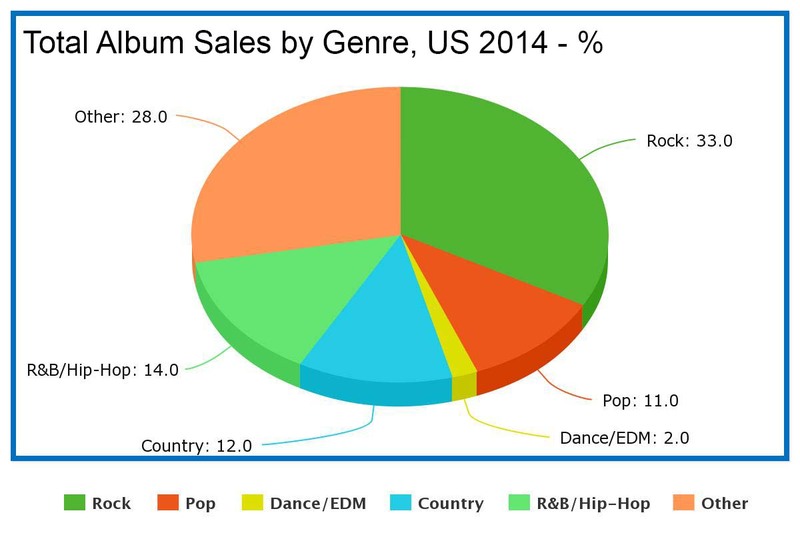 Nielsen’s formula for an SEA: 1,500 streams = one album sale. For a TEA (Track Equivalent Album): 100 sales = one album sale. 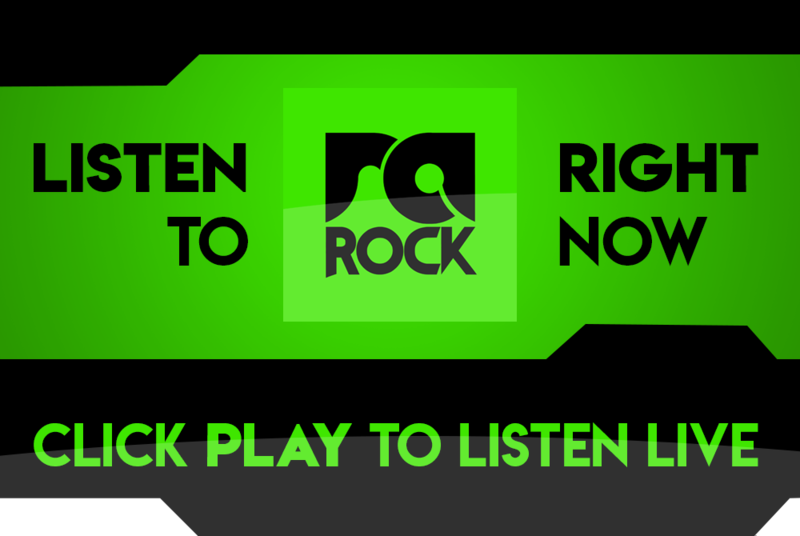 Rock topped the chart with 29% of total music consumption. R&B and Hip-Hop came in second with 17.2%. Pop came third with 14.9%, and Country came fourth with 11.2%. Fifth place goes to EDM (Dance) with 3.4%. Other music genres are made up of Christian/Gospel music at 3.1%, Latin music at 2.6%, Holiday music at 2.6%, Classical on 1.4% and Jazz on 1.4%. One needs to remember that Rock is defined as straightforward ‘Rock’ acts as well as all Rock sub-genres such as Hard Rock, Soft Rock, Metal (and all it’s sub-genres), and Alternative. Overall Taylor Swift sold the most albums in 2014 with 3.6 million copies sold of her 1989 album. Imagine Dragons’ album Night Visions was the best selling ‘Rock’ album of 2014.